 At Trelevate, we are always looking for the next great candidate to join our growing sales team. What does the ideal Trelevate sales team member bring to the table? Experience is always a plus, but we’ve found over the years that our training and support can turn even the newest salesperson into a great addition to the team. Our training program is really what sets Trelevate apart. Our approach is to make you an expert in people, not just a particular product or service. This approach will allow you to succeed in any market, any career path you choose, whether that’s with us or another company in the future. Since we believe in our training program and managers, we are willing to invest in you. Unlike most sales companies, we offer paid training, a base salary with performance increases, paid travel, a healthy work-life balance, and a full benefits package. We believe in providing you with a strong foundation so you can build your own future.